Iceland U21 and Northern Ireland U21 face , in a match for this stage of the UEFA U21 Championship (Qualifying Round). The head‑to‑head history of the last 3 years favours Iceland U21, since in the last 3 matches they won 1 and tied 2. They got access to this stage of the UEFA U21 Championship (Qualifying Round) after having finished the group stage in the 4th position of Group 2, with 11 points won. In the last 8 UEFA U21 Championship matches Iceland U21 has a record of 3 wins, 2 draws and 3 losses. Iceland comes to this game with a 2-3 home defeat to Slovakia, putting an end to the three straight games without losing in this competition: the two goals of the team were signed by Albert Gudmundsson. 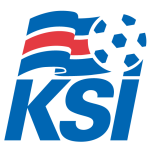 The Icelandic national team is expected to play in a 4-3-3 tactical system with the aim of using a more in-depth style of playing, progressing on the field through short passes. At the individual level we highlight Gudmundsson, being the best scorer in this stage with 6 goals scored. Coach Eyjólfur Sverrisson can count on the usual players. Confirmed Lineup: A. Friðriksson, A. Sampsted, F. Fridriksson, A. Andresson, J. Magnússon, T. Gunnarsson, W. Willumsson, S. Friðjónsson, A. Sigurdsson, K. Kristinsson, O. Karlsson. They come to this stage of the UEFA U21 Championship (Qualifying Round) after having finished the group stage in the 3rd position of Group 2, with 14 points won. In the last 8 UEFA U21 Championship matches Northern Ireland U21 has a record of 4 wins, 2 draws and 2 losses. Defensive consistency hasn’t been their best feature, as they have conceded goals in 6 of the last 8 matches, but their offense has scored consistently, as they have scored goals in 6 of the last 8 matches for this competition. In 8 matches for this competition, they have conceded the first goal 4 times and have only turned the score around in 1. Northern Ireland arrives at this game motivated after a 1-2 away triumph over Spain: Lavery and Donnelly scored the goals of the victory. It should be noted that the Irish can still reach 2nd place in Group 2, but it does not depend only on themselves. Coach Ian Baraclough usually plays in 4-4-2, preferring a faster style of playing, with the two most advanced players being Holden and Smyth. For this game, the manager should be able to count on all his players. Confirmed Lineup: C. Hazard, L. Donnelly, P. Bird, D. Ballard, D. Gorman, J. McDonagh, B. Burns, S. Lavery, J. Thompson, R. Holden, P. Smyth. The most likely scenario for this challenge will be both teams scoring at least one goal. 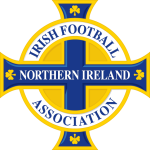 The quality difference between the two teams is barely visible, however, and even playing away from home, Northern Ireland should dominate and hold the best chances to score goals. In this way, we believe both Iceland and Northern Ireland will play daringly and provide a game with goals.